Winner of the International 3D Society's Lumiere Technology Award for outstanding technical achievement in supporting stereo 3D filmmaking. 3D movies are no longer a fad, and shooting in 3D could be the single biggest change in filmmaking since the introduction of sound. 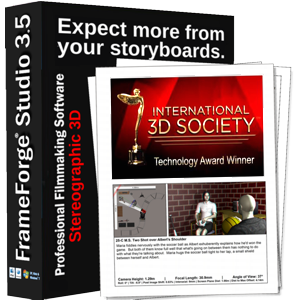 The best way to ensure that a filmmaker is controlling and manipulating depth to support and enhance the film story – rather than having the demands of 3D-shooting control and limit visual choices – is to use FrameForge’s Stereographic 3D Version to prepare. Still sound too good to be true? Listen to one of our users speak for themselves! 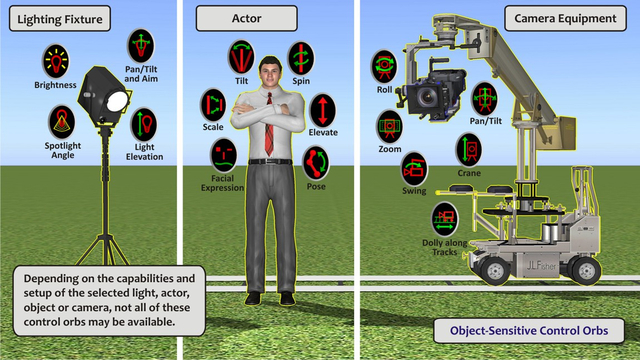 Real-time Stereo Display for viewing your work onscreen in Stereo 3D using most 3-D ready polarized stereo monitors or in anaglyph format on ANY monitor. Three pairs of red/cyan anaglyph glasses included with boxed/CD version. Fully customizable Side-By-Side & Beam Splitter Rigs allow you to work with the capabilities and limitations of the actual Stereo Camera rigs you’ll be using on the set. Full Control of Parallax & Screen Plane for any target screen size – from as small as an iPod® up to an IMAX® theatre. Adjust convergence and interaxial with instant updating of parallax values. 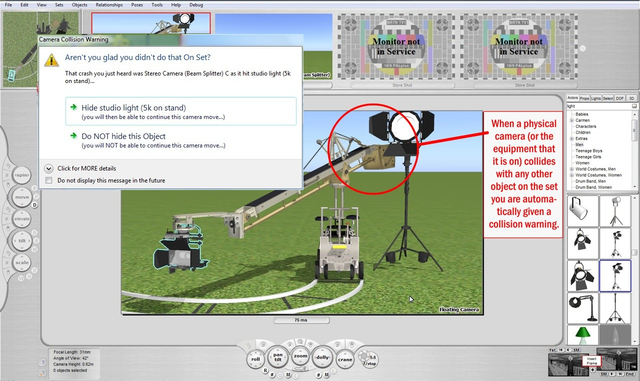 Real-Time Reporting of the current parallax for every object in the scene with only a simple click on the object in question. 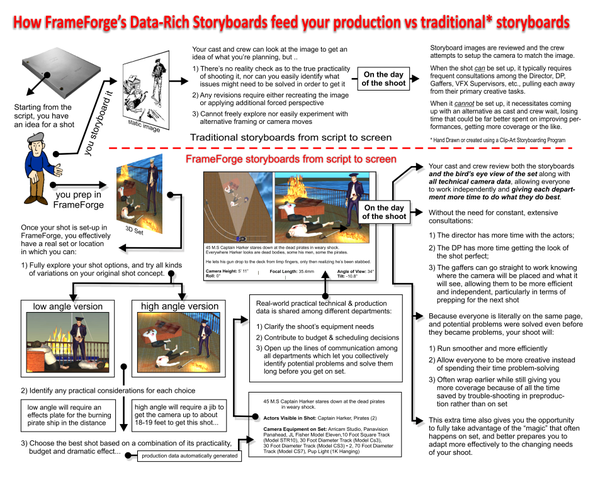 Print 2D or Anaglyph Storyboards, and Export Animatics and Animation in a variety of stereo formats. 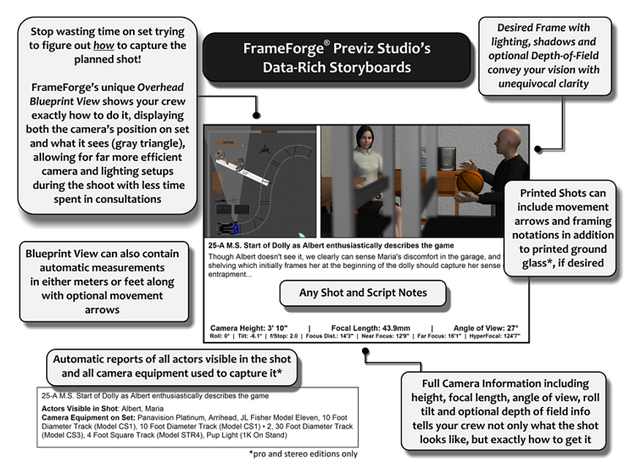 When you pre-visualize your project with FrameForge Previz Studio 3.5 Stereographic 3D, your final boards will not only be precise and possible to shoot, but they'll also give your cast and crew a true representation of how to capture your vision, including the technical information required to create that shot on location. With an incredibly intuitive interface and phenomenal flexibility, FrameForge Previz Studio 3.5 Stereographic 3D will change the way you plan and film your project. 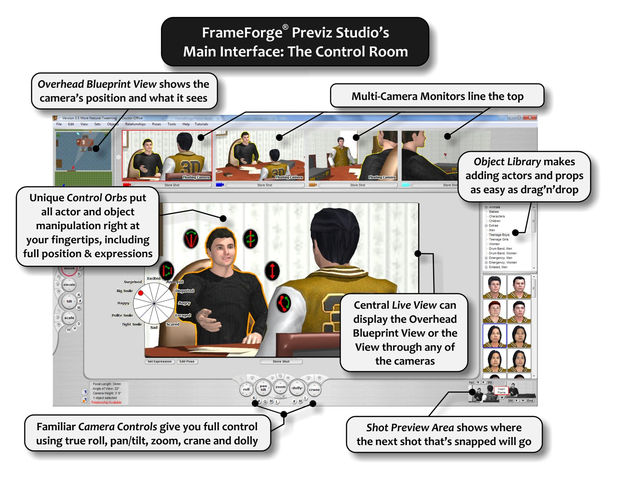 So join the revolution and ranks of professional filmmakers who have discovered the Power of Previz.